All of our services are guaranteed. If you are not fully satisfied with any service that we perform, we will either re-perform the service for free or remove the service from your invoice… your choice. It’s as simple as that. No fine print, no hoops to jump through. Just a simple promise that you will be happy with our service, or you won’t pay for it. Personalized solutions with a solid guarantee. 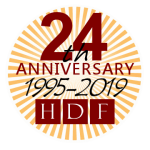 Only from HDF.